This Thursday, CollegeAca will be streaming our next installment of "Aca Live," a Facebook Live segment where we invite a guest college aca group to perform a set of songs and answer audience questions. For this week's show, we have a first. Our first ever Christian A Cappella group. 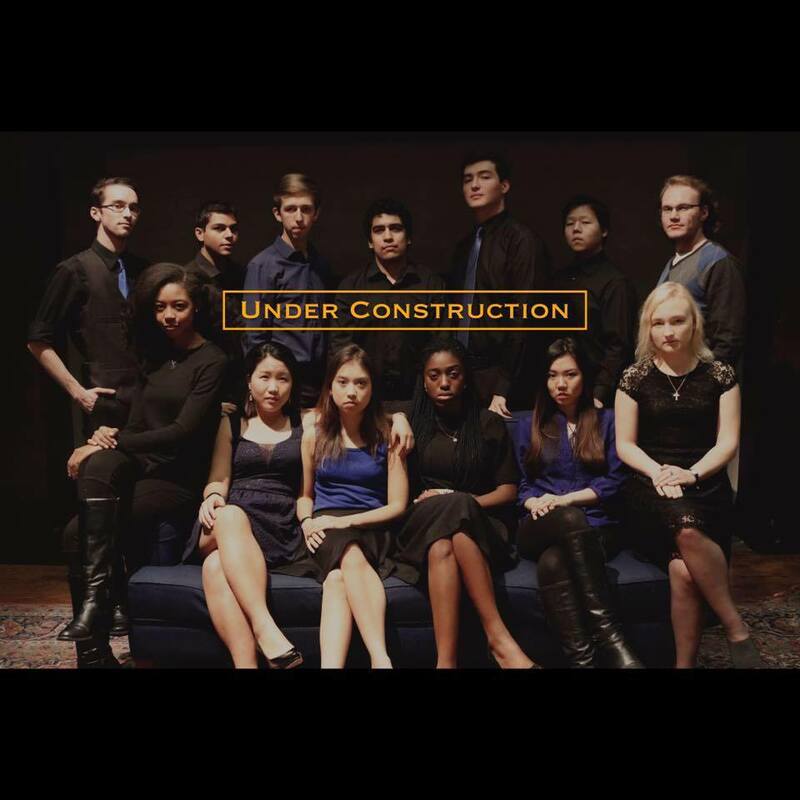 Under Construction, the premiere a cappella group from Harvard University will be our host. What makes the group so special is the message and purpose behind the song's they choose to perform and how they let that show at every show they take part in. Get to know the group in our below interview with them and see them perform tomorrow night on "Aca Live" right on our Facebook Page at 10 PM/ET. Under Construction was founded in 1982 (Making this our 35th year!) when a group of students gathered around a piano in a classroom. We have come a long way since then, with musical influences across various genres. Despite changing with the times, our inspiration and motivation remains constant: our mission is to spread the good news of Christ's love for everyone. 2. Under Construction currently shares the Harvard campus with various other a cappella groups. How does the group differentiate itself from these other groups? What makes the group so special? As Harvard’s only Christian a cappella group, what sets us apart is the why and how behind our singing. We sing for worship and to spread the Christian message. While we are a contemporary a cappella group, this mission allows us to sing with an authenticity and passion in our songs since the songs we sing each have a specific message we want to convey. 3. What current projects are you currently working on? Any new albums, videos, tours, philanthropy, etc.? We just finished our tour in New Orleans. Each year, we go on tour to spread our message as well as to do service such as helping communities in the area. In New Orleans, we performed in various locations such as churches, schools, and outdoor venues. Our sixth album Revival was released not too long ago, which is available on iTunes and Amazon Music. We are hoping to make an EP in the near future, so stay tuned! 4. What type of events does Under Construction typically perform at? And what has been your favorite gig from the last year or two? In addition to a concert, we work to perform at venues to spread our message, from churches to community centers, even on the street. One gig we particularly enjoyed was at Renew Schaumburg Elementary School, where we sang for the students and distributed new backpacks and other school supplies to them. 5. What are some things that Under Construction likes to do outside of music that contributes to your musicality? Cooking. There’s nothing like cooking to raise the musician within you, because all the essential components of writing and performing music can be found in cooking gourmet food. You have to understand each ingredients individual properties, the ways they can be manipulated, and the competitive or synergistic effects they have when combined with other ingredients. Only when you understand your individual components can you combine them to form a clear image on your plate, just as you must have an intimate knowledge of rhythm, harmonies, effects, and chord progressions to write and perform a quality arrangement. 6.What's it like being a Christian A Cappella group? Do you ever feel limited by music or gig choices? What has been the most rewarding part about being in a group focused on spiritual music? It’s incredible. We don’t really feel limited by our choices in repertoire because we see God in a lot of music, and such music is all we really want to perform. Through our performances, we increase our sense of community and discipleship. 7. Are there any big plans for the future? Hoping to try out some new songs, collaborate with other groups, travel to perform, etc.? Under Construction will be celebrating our 35th anniversary this coming school year, and we will have a special alumni concert to celebrate this milestone. In addition, we hope to record an EP, so stay tuned! 8. Have you all ever experienced any weird or unexpected moments at a concert or performance? [At one of our shows] one of the mics went out and we didn’t realize until the last song. To be honest, no one really realized it until a while after the fact, and the ramifications were in no way severe. It was one of those things where we could all look back on it and have a little laugh. Also, we always have really enthusiastic friends and classmates in the audience, and sometimes they shout out our names or yell random things from the seats, which can be interesting. 9. What's something that most people probably don't know about your group or groups similar to yours? Although we are a Christian a cappella group, we sing more than just hymns. Our repertoire does include some hymns and many Christian songs, but we sing some mainstream songs as well to connect to more people on our campus. When we sing these songs, we sing them with our faith in mind, and before singing each song, we discuss the lyrics as a group and what they mean to us as Christians. We also love to incorporate other elements into our performances such as spoken word. We always make sure our Christian message is in the forefront and it is the foundation for everything we do, which is what makes us different from other groups on campus. 10. When you consider the fact that you are one of many groups at Harvard, what is it like trying to convince new talent to join Under Construction versus another campus group? We provide a niche for people who want to be part of Christian community and sing for the Lord. We’re a family, and we’re here to support each other, and we hope they see that in our group. We’re super excited to be having our Spring concert on April 22 on Harvard’s campus at 7pm. There’s more information on our Facebook page if you’re interested! If you can’t make it but still want to hear more, check out our Facebook page “Harvard’s Under Construction” our YouTube Channel “UnderCon Music,” and our newest album Revival on iTunes. 12. Lastly, could you give us some background on the below photo from your Facebook? What was the event, how'd you get involved and what was memorable about it? This is a picture of us visiting the state capitol in Austin on last year’s tour when we went to Texas. In addition to it being a great opportunity to spread our ministry and be a light in the community, it was great to get a week away from college to continue to grow as a family and be together. For more information on Under Construction, visit their website here.